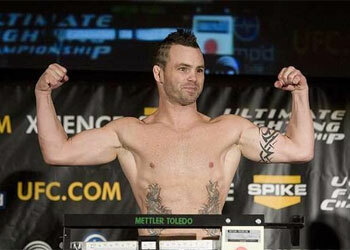 Following his loss to John Crispi tonight at WEC 41, MMA veteran Jens Pulver announced his retirement … sort of. A teary-eyed Pulver told the Arco Arena crowd that his 33 second loss may have been his swan song. Although his emotions may have gotten the better of him, he did leave the window slightly cracked for a possible return. Pulver was caught in a wicked guillotine choke just moments into the opening round. Due to Pulver’s lack of perspiration, he was unable to wiggle his way out. Pulver may have tapped for the final time as he continued his exit speech. “…I came out here, I gave you guys everything I had,” Pulver somberly said. “I give you my heart every time. I love you Sacramento. I ain’t playing. I love you guys a lot. I love this sport. The 34-year old former UFC lightweight champ has dropped four consecutive bouts, with the last three ending in the 1stRound. If that was indeed his last pro fight, he will go down with a 22-12-1 record.